March saw Richard and myself in tropical Cuba to oversee operations hoping to gain Fair-Trade status. The Cuban refinery is already accredited as organic and Richard and I provided advice on processing, quality control and bagging improvements. 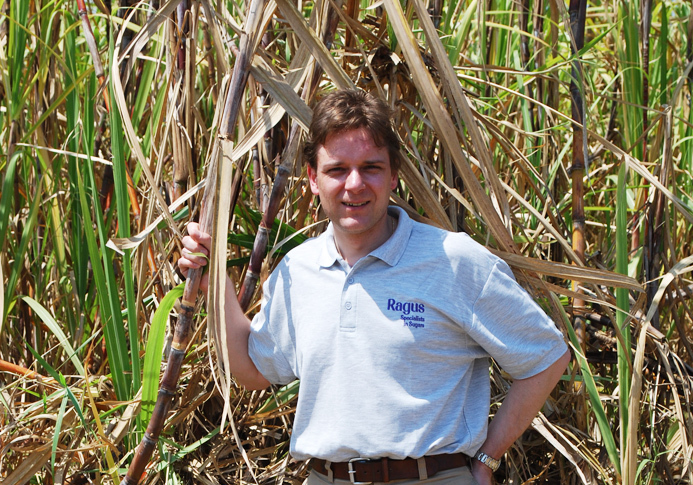 Ben Eastick inspecting Cuban sugar cane. Forgotten flavours and fruity notes are about to be re-launched into English Chocolate. William Harcourt-Cooze is about to launch real chocolate using only the finest raw cacao beans in the world blended with organic Cuban raw cane sugar. 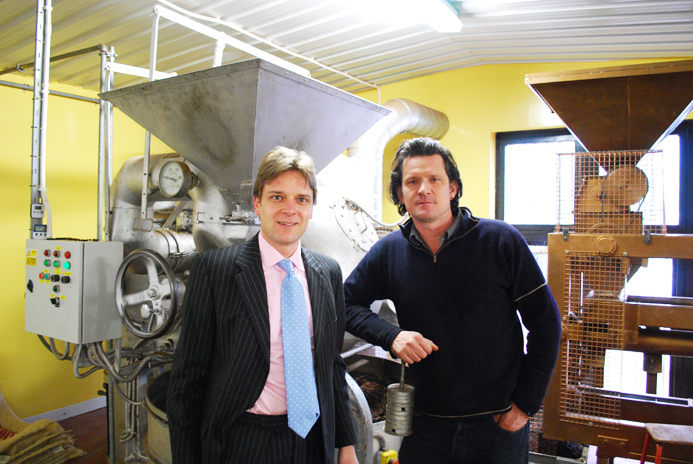 Ben Eastick & Willie Harcourt-Cooze discuss Cuban organic sugar. 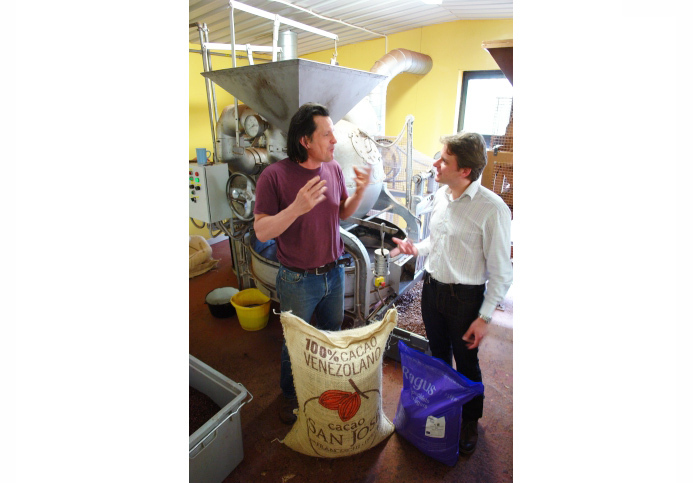 Willy extols the beauty of his Rio Caribe Superior Cacoa bean, while I sing the praises of Ragus organic cane sugar. Something good has to come of this, and it did! The result was Peruvian 70 and Venezuelan 72 Delectable chocolate. Willie Harcourt-Cooze with Ben Eastick. As we celebrate 80 years of independent family ownership we have re-launched our our client publication formerly known as Crystal Clear to keep you up to date with new innovations and product enhancements at Ragus, as well as developments both here and in the wider industry. Bako North Western, located in Preston is the Biggest Bako wholesaler depot in the UK. 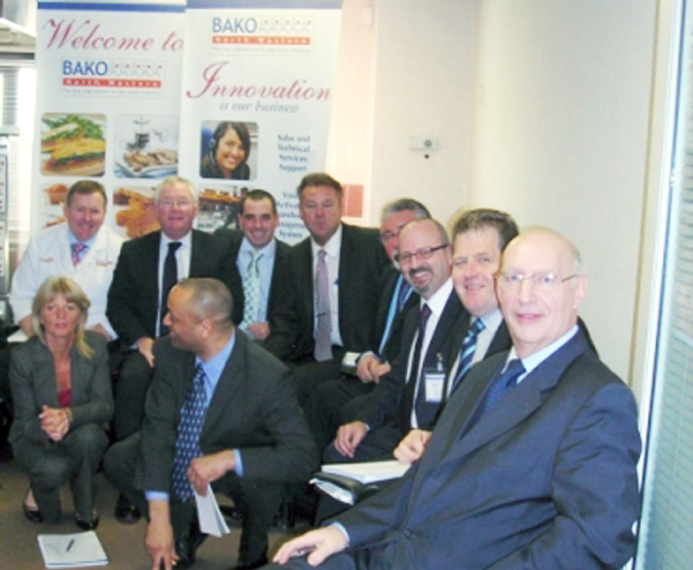 I travelled north to visit the Bako account managers to carry out some refresher product training. I also got the opportunity to learn more about how Bako and Ragus can work better together. I met some old friends and made some new ones, pictured sitting from left to right are, John Robertshaw, Billy Reid, Adam Manton, John Trunkfield, Peter Smith, Me, Jim Neary and Stuart Brewster. Kneeling are Alison Ward and Frank Murrell. It was a valuable exercise and I hope the Bako account managers got as much out of the visit as I did! Frank O’Kelly with the account managers from Bako North Western. You are currently browsing the Ragus blog archives for December, 2009.